We want our customers to be satisfied customers! 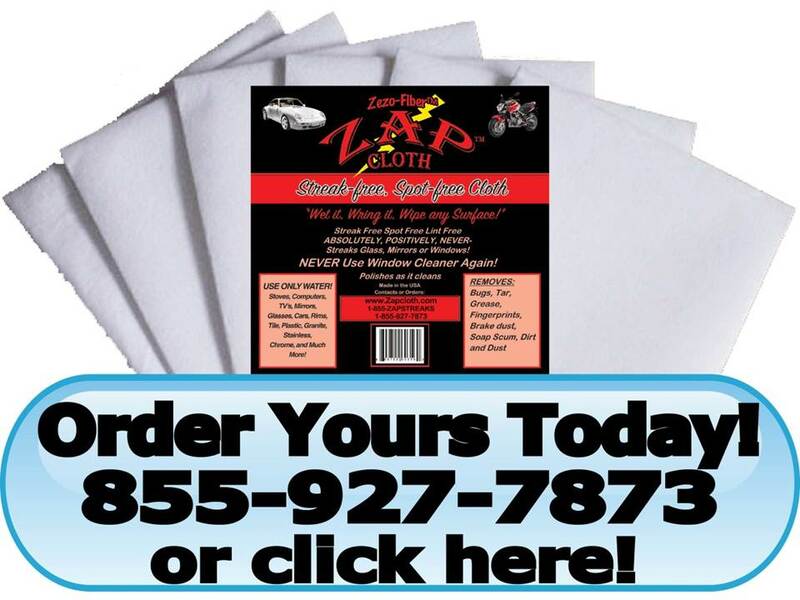 Kaywos, Inc. guarantees that you will be completely satisfied with any products you order on the Zap Cloth Website. If you are unsatisfied with a product, you may return the product within 30 days after delivery for a refund of the product purchase price; we will even pay return shipping in the Continental United States. Buyer is responsible for return shipping charges outside the Continental United States and all shipping charges are non-refundable. Please call to get a Return Merchandise Authorization (RMA) before sending back a return. Products returned without an RMA will be refused or are subject to a restocking fee. If you find a product is not as described, your sole remedy is to return it in the original packaging in unused and resalable condition following the procedure above. If the above conditions are not met, Kaywos, Inc. reserves the right to refuse the return or to charge a restocking fee of not less than 25%. This guarantee does not apply to wholesale sales; all wholesale sales are non-returnable and non-refundable.